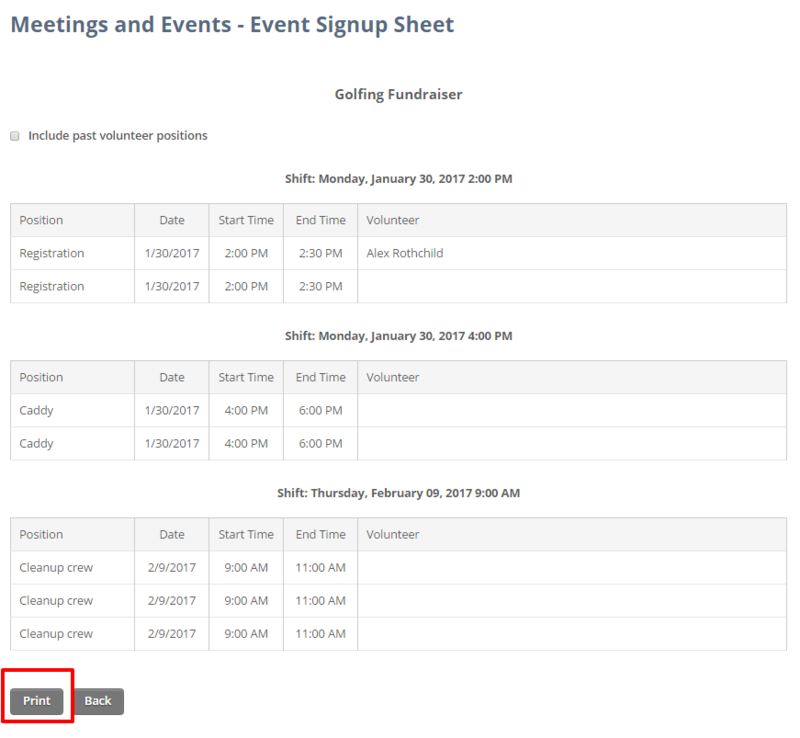 Print a hard copy of an event signup sheet. 4. 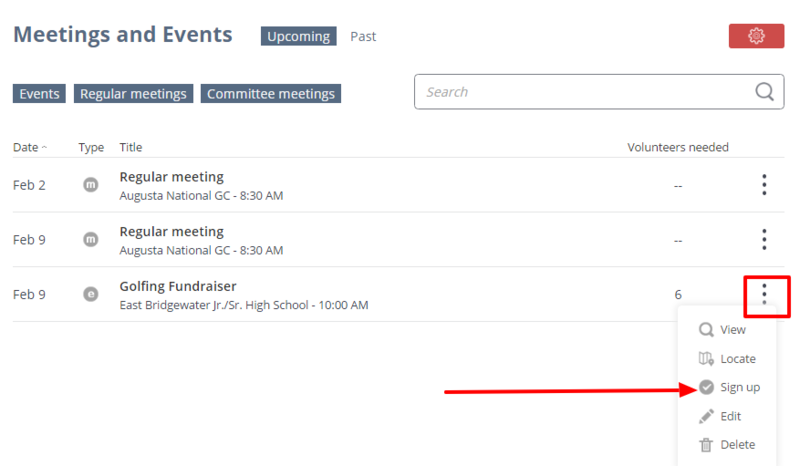 Click the Printable Signup Sheet link. 5. Click the Print button at the bottom.